Since the beginning, I knew I wanted to raise them naturally, so it made sense to incorporate some herbal remedies and health benefits into their diet. I already had a small herb garden that I used for cooking, so I just expanded that a bit and now grow enough to share with the chickens. I am often asked what my favorite herbs are, or if I had to pick just a few to grow, which would I choose. So here are my Top Five Favorite Herbs for Chicken Keepers. Lavender, a stress reliever and calming agent, also acts as a natural insect repellent, and improves blood circulation. For all those reasons, it is a wonderful addition to your nesting boxes. Fresh or dried, the leaves and buds can both be used to make your nesting boxes aromatic and bug-free while calming your sitting or laying hens. 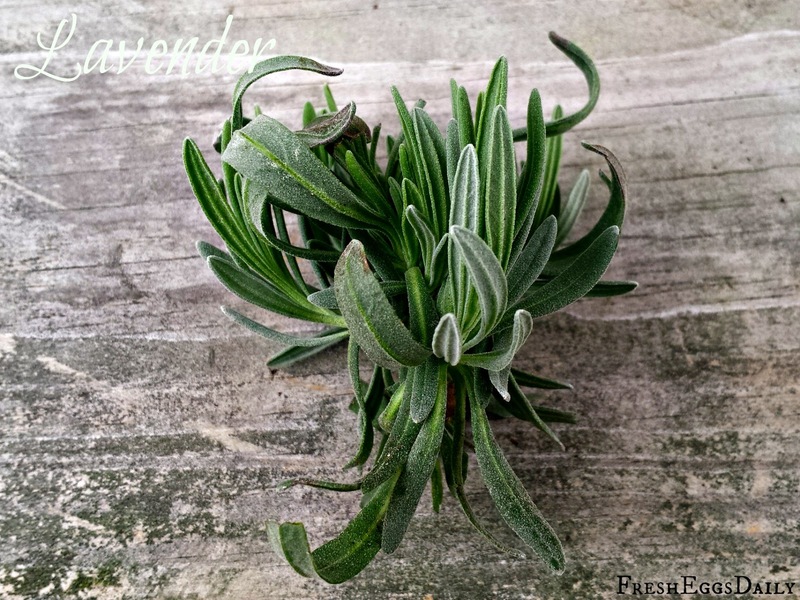 I also use lavender to make a pleasant-smelling Lavender Mint Coop Refresh Spray. Mint is a favorite of mine to grow because not only will it grow almost anywhere, but it spreads like crazy so you will always have plenty. Since it is a natural insect- and rodent-repellent, I liberally toss mint in the nesting boxes and strew leaves onto the coop floor. 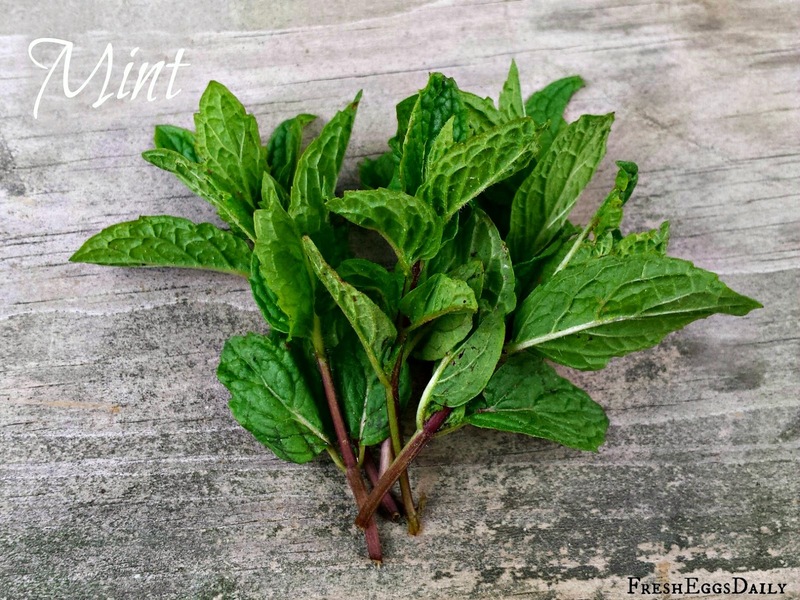 I also use mint to make these cute, safe and effective Vanilla Mint Fly Repellent Jars. Oregano is probably the most beneficial herb for your chickens' health. 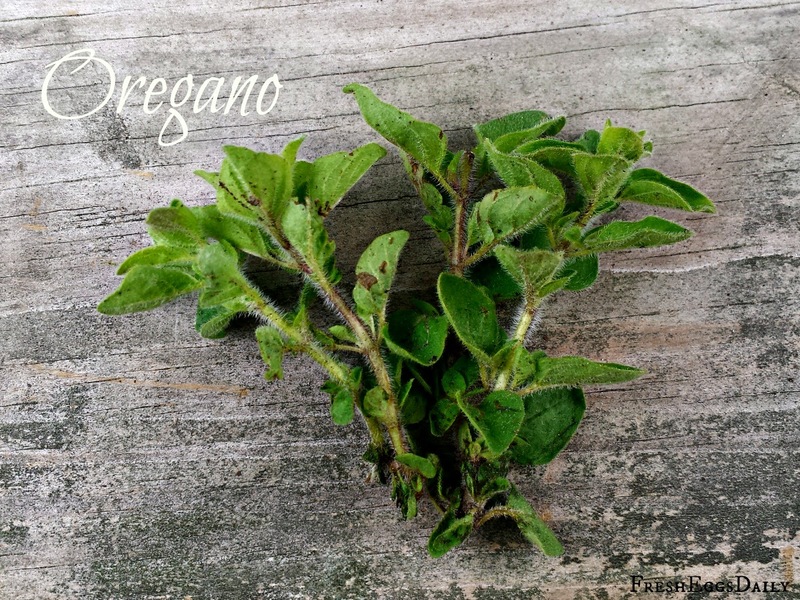 Recent studies have shown the oregano acts as a natural antibiotic, and can help protect against coccidiosis. It is also thought to guard against avian flu, blackhead, e.coli and infectious bronchitis. Adding dried oregano to your baby chicks' feed or feeding fresh chopped leaves to them free-choice helps protect them against many pathogens and get a good start in life. Adding oregano to your flock's diet in the same ways offers them continued health benefits. 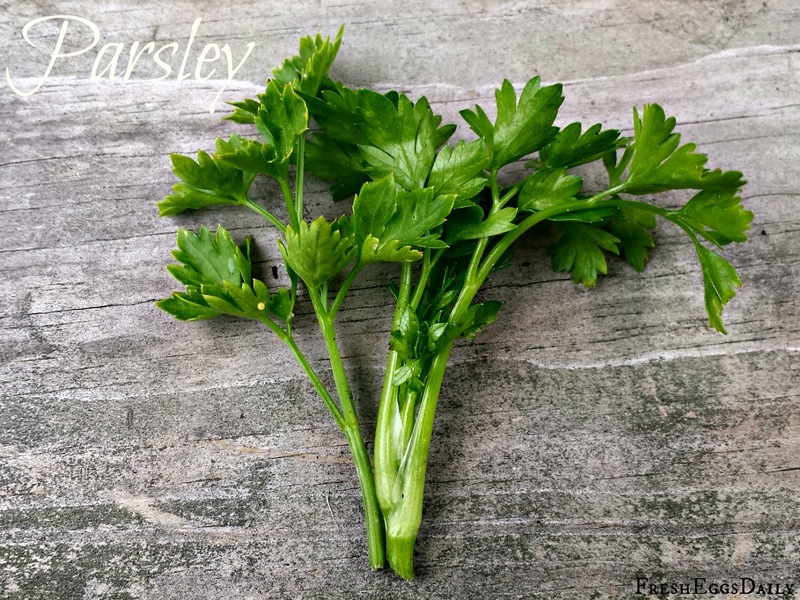 Parsley is a nutritional powerhouse and our chickens love it. High in Vitamins A, B, and D, calcium, iron, magnesium selenium and zinc, it provides multiple health benefits to your chickens. It also aids in blood vessel development and is a laying stimulant. I feed our chickens fresh parsley free-choice as a treat and also add dried parsley to their layer feed. Sage, a natural insect-repellent and anti-parasitic, is also an antioxidant that promotes general health but even more importantly, it is thought to help combat salmonella. 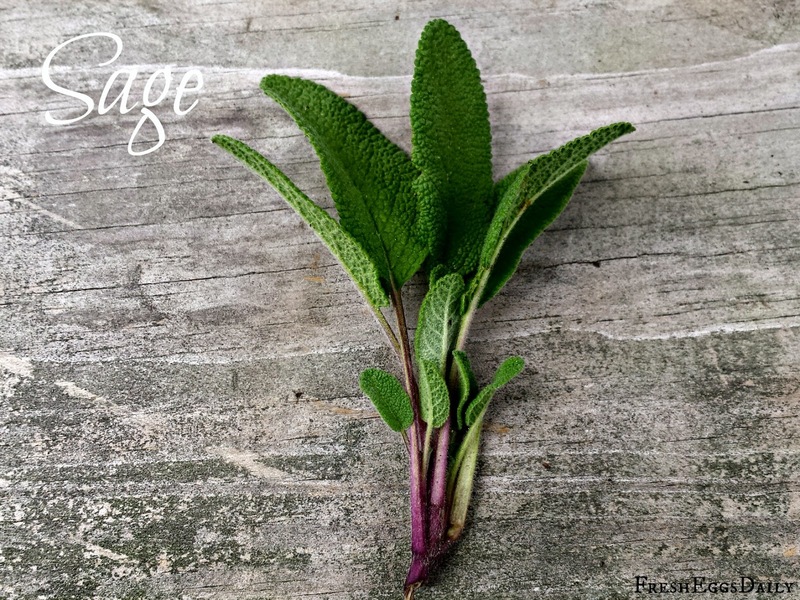 Fresh or dried, sage is a wonderful addition to your flock's diet. So there you have it. My picks for the herbs I would grow for my chickens - if I were limited to just five. However, all the culinary herbs are perfectly safe and offer their own specific benefits, so think about growing some others for your chickens, along with these. 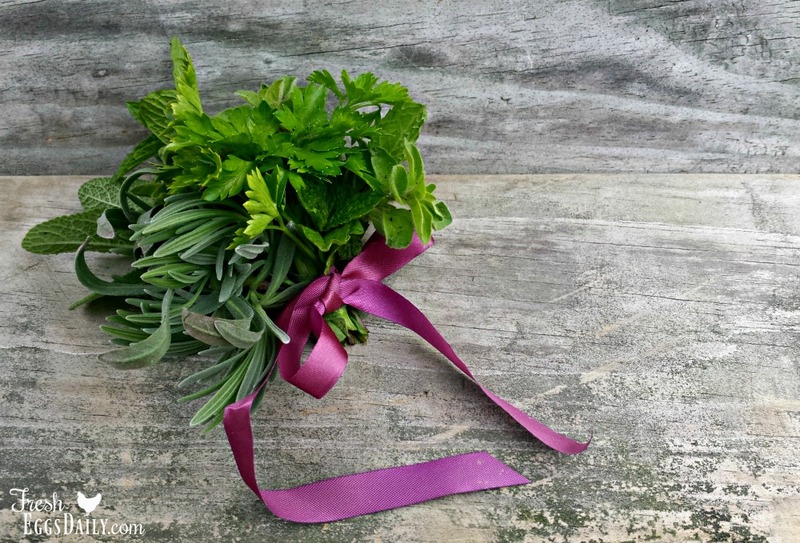 For a more complete list of culinary herbs and their benefits, read HERE. I love your use of herbs with your chickens. I am almost done reading your book and have my list of things I want to plant for my chickens. :) I already have mint growing for our use, and am going to expand the area it's in so I can grow plenty for our chickens. Thank you for continually sharing such great information! Thank you! The timing is perfect too, as I'm just planning my garden and love to include herbs. We're getting close to finishing our coop renovation (aka Palace, aka Fortress) and hope to have hens in the next few weeks! A new experience, a new adventure! Thank You I really enjoyed your Post. I Look forward to more. So glad to find you via Facebook, some great info here, thank you so much for creating this blog. You are welcome! I really love what I do and am so glad so many enjoy it! How much of each herb do you give your chickens? Do you give them it everyday? I have 14 hens and 1 rooster. Thanks. I have started my chicken herb garden. I use them also so good for all of us. Just put in giant Italian Basil, Rosemary, and tricolor sage. Next I'll add chives and dill and parsley. I am having so much fun my first season with my goats and chickens. And your site is so helpful. Thanks again.